Flexi Narrow Aisle Ltd is one of the world’s leading manufacturers of very narrow aisle articulated truck and is designed to allow maximum storage in a warehouse. 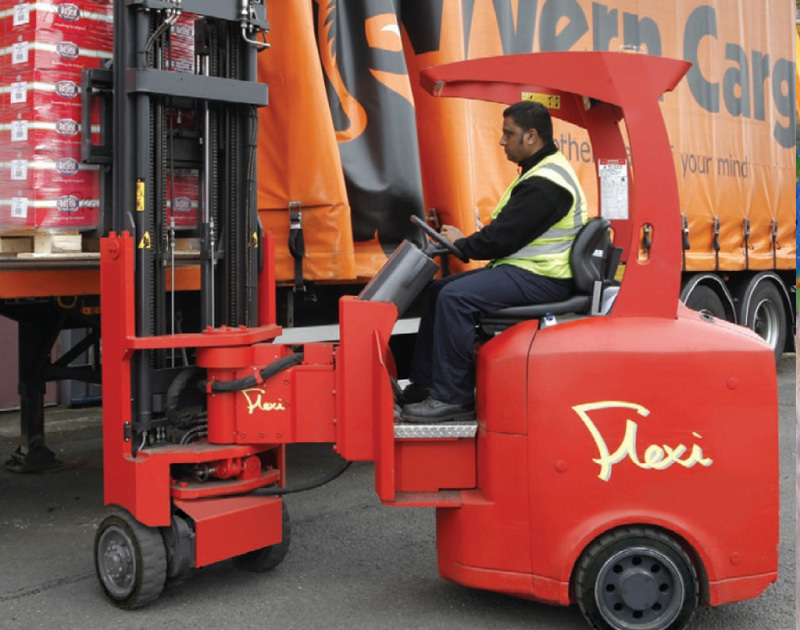 The award-winning Flexi AC range of articulated forklift trucks comes with front wheel drive can articulate up to 220 degrees, allowing you to pick up pallets from both sides of the aisle. 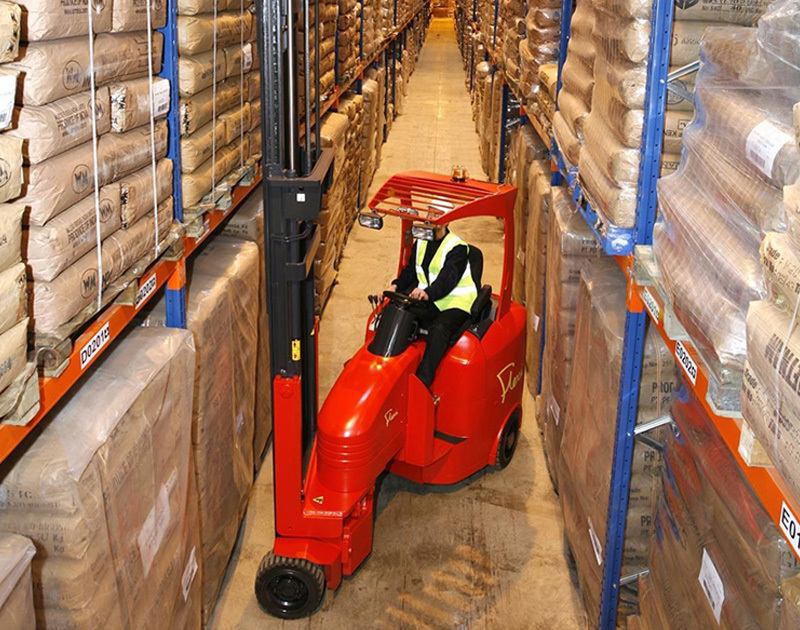 The versatile lift truck works in aisle ways as narrow as 1.6 metres, increasing storage space by up to 50% and significantly reduces your handling and operating costs. 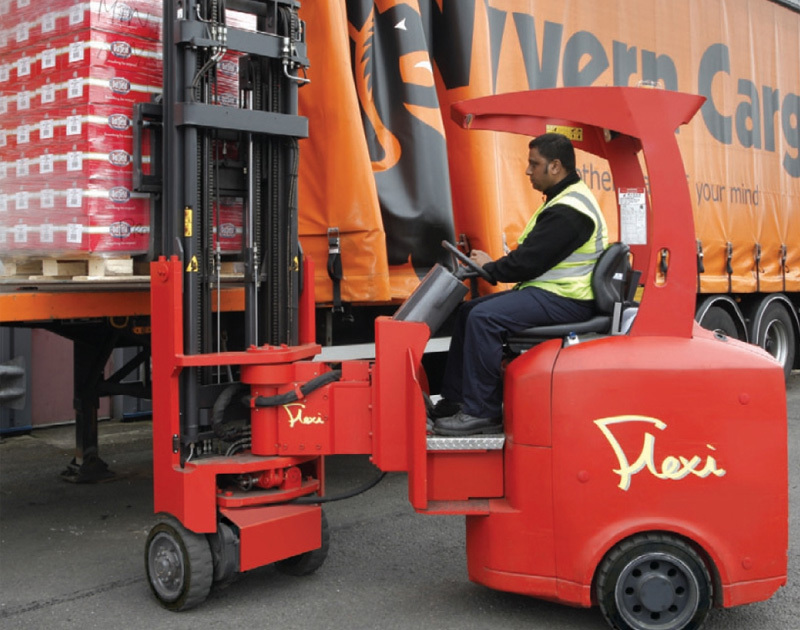 With lifting heights of up to 14 metres and the ability to operate in very narrow aisle ways of 1.6m, the Flexi articulated warehouse truck provides a more cost effective alternative to a standard warehouse forklift. Flexi AC 1000 has been designed to provide maximum level of storage space. 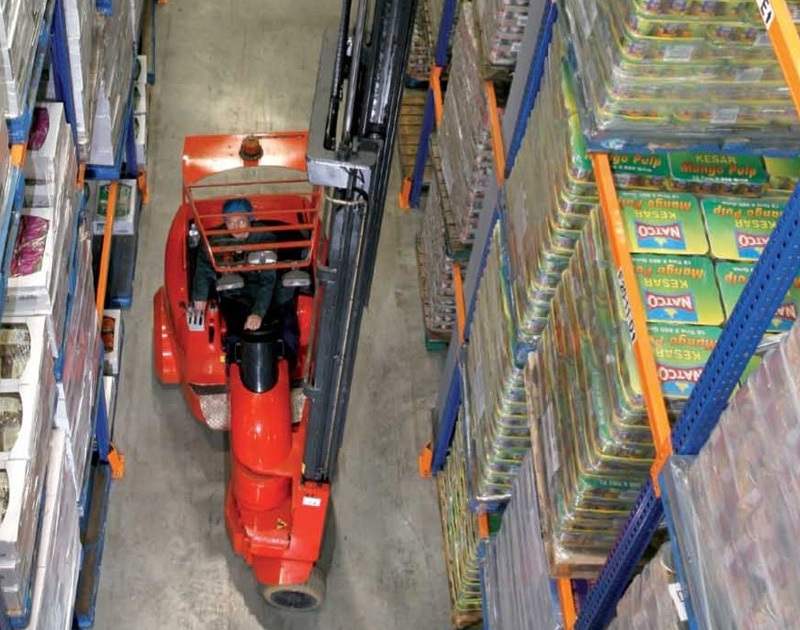 Capable of working in 1.6M aisles and lift Heights over 8.5 metres – it provides an economical solution for low bay warehouses by creating up to 30% more warehouse capacity. With a two tonne lifting capacity of up to 3.3 metres, the Flexi AC 1200/1250 electric powered articulated forklift truck is one of the most complete and compelling articulated forklift truck range currently available. Precise stacking up to 11 metres, the Flexi HiLOAD offers Zapi AC drive technology, providing longer battery life and reduced maintenance costs. Combining 220º articulation with a 2.5 tonne capacity heavy duty Flexi truck provides the ideal solution for those wanting to save storage space and increase pallet throughput. Suited for high bay warehouses and fast pallet movements the Flexi AC HiMAX is designed for lifting ISO pallets of up to 13 metres and features a heavy duty 2.5 tonne chassis. Operators have excellent forward visibility thanks to ‘HiVIS’ triplex free lift mast, resulting in safer and more accurate driving. 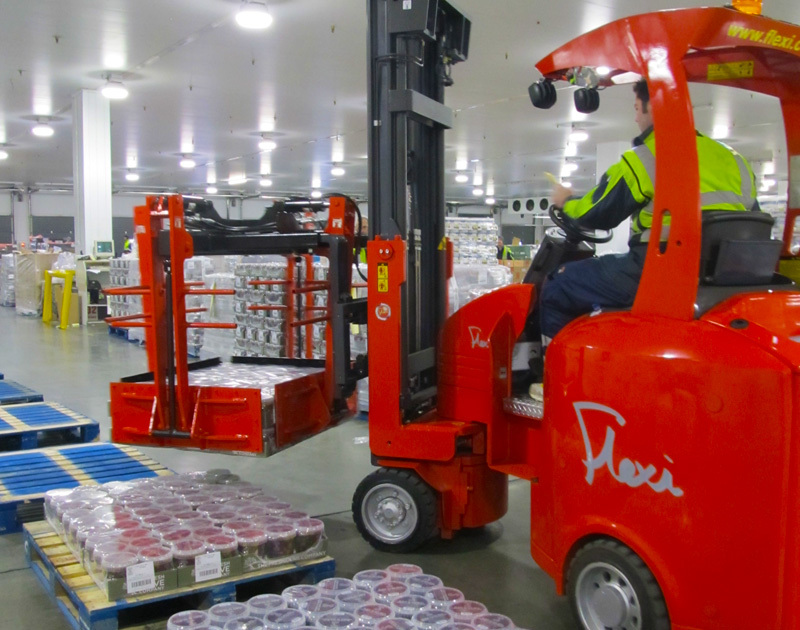 With lift heights up to 8.5 metres the Flexi AC VNA 1000/1100 has a 1.4 tonne rated capacity at 600mm load centres and replaces guided trucks in very narrow aisles. 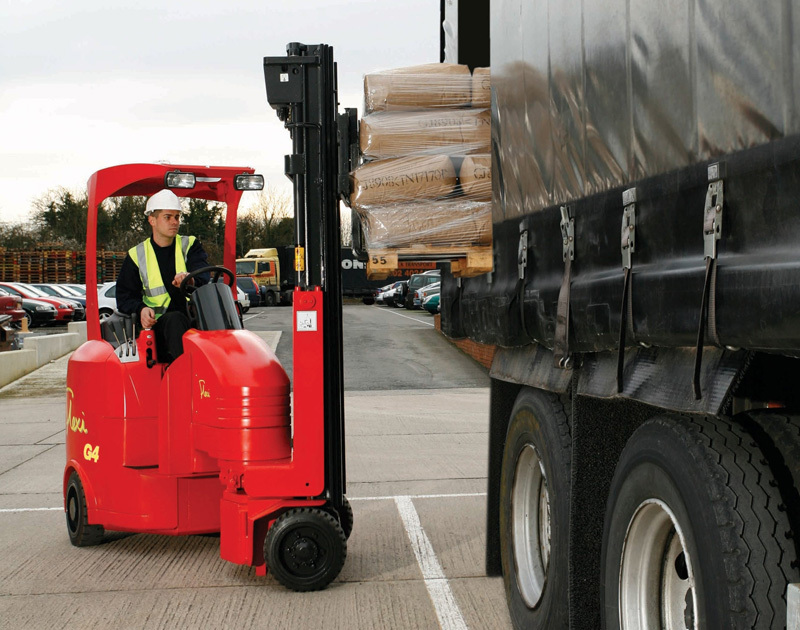 The highly versatile lift truck also comes with a 1.8 KW power steering motor helping to conserve energy. 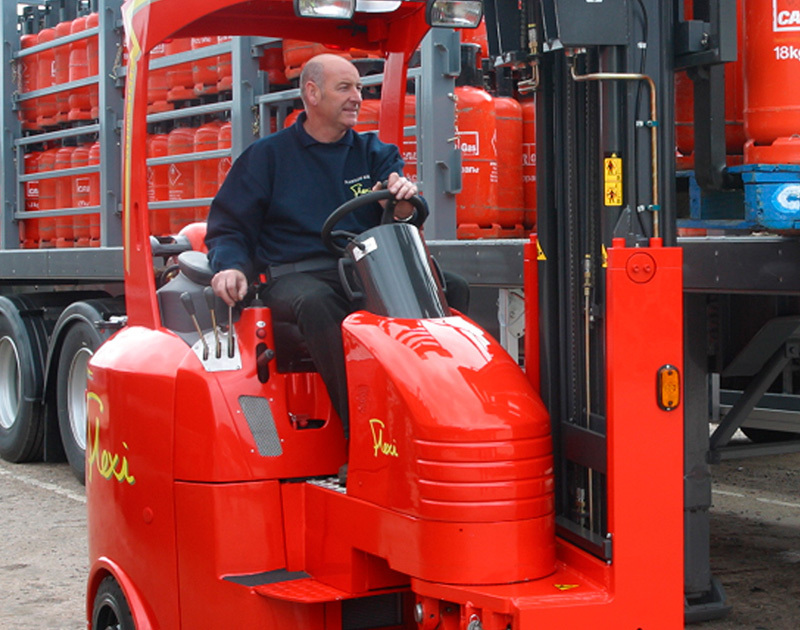 The Flexi GAS model is particularly suited to on-demand operation and works more efficiently than a CB truck outside with one truck doing the job of two and cutting handling costs by up to 50%. Fitted with a catalytic system and proven GM LPG engine with catalytic converter, it ensures a clean, reliable and safe operation. This unique layer picking system replaces the need to pick cases by hand and can handle 1000 crates per hour. Suited to the grocery retail sector it offers four integrated arms and rubber pads that gently lifts and cushion the loads carried. 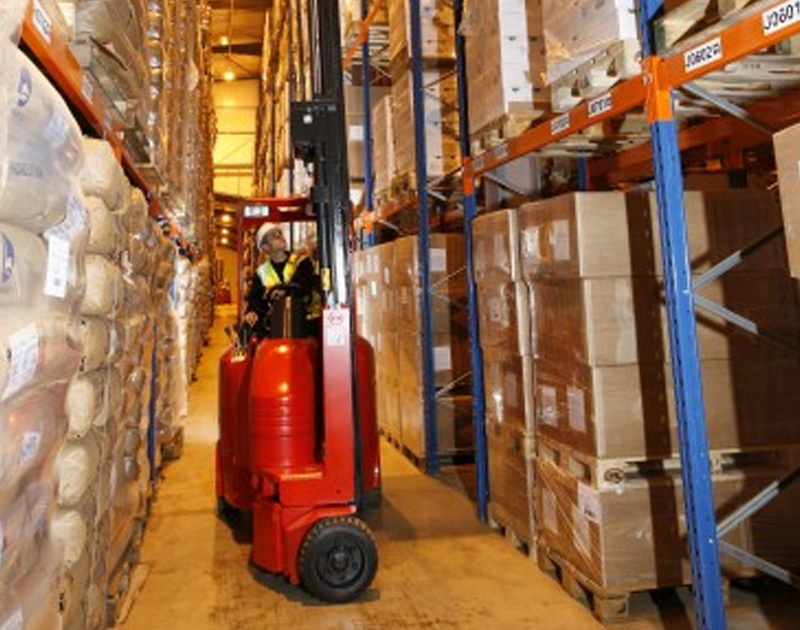 Flexi AC StorMAX creates up to 50% more warehouse capacity by placing one pallet behind another in each narrow aisle. 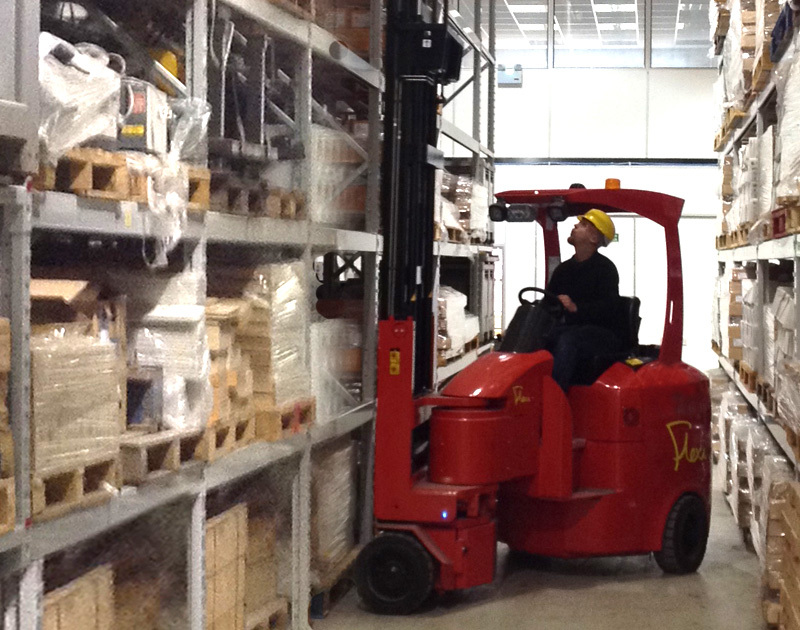 The high-density system also requires significantly fewer lift trucks to achieve higher pallet loads.